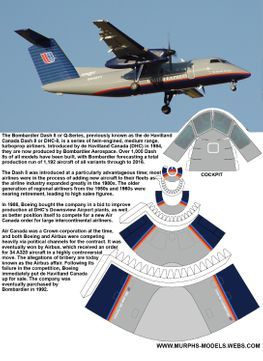 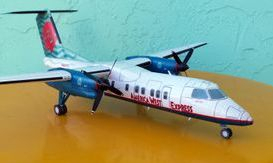 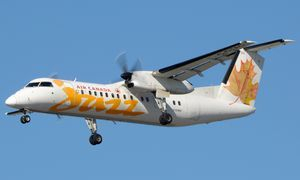 The Bombardier Dash 8 or Q-Series, previously known as the de Havilland Canada Dash 8 or DHC-8, is a series of twin-engine, medium-range, turboprop airliners. 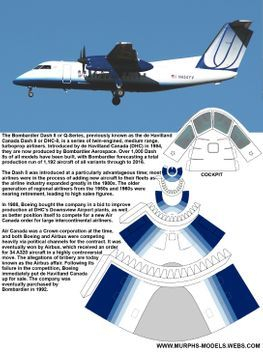 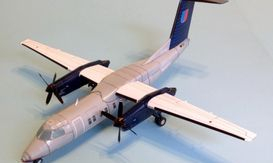 Introduced by de Havilland Canada (DHC) in 1984, they are now produced by Bombardier Aerospace. 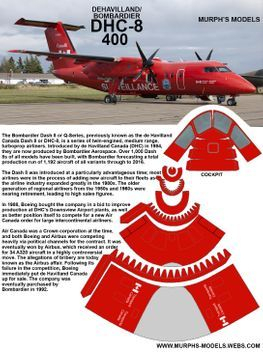 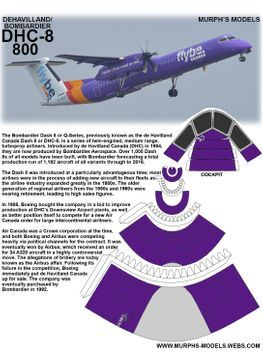 Over 1,000 Dash 8s of all models have been built. 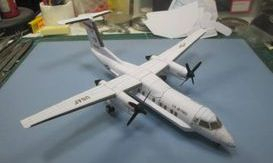 The aircraft has been delivered in four series. 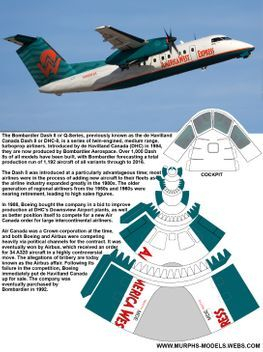 The Series 100 has a maximum capacity of 39, the Series 200 has the same capacity but offers more powerful engines, the Series 300 is a stretched, 50-seat version, and the Series 400 is further stretched to 78 passengers. 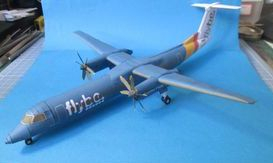 Models delivered after 1997 have cabin noise suppression and are designated with the prefix "Q".Production of the Series 100 ceased in 2005, and the Q200 and Q300 in 2009.